A cell phone repeater (also known as a cell phone signal booster) is a system which takes a cell phone signal from one area where the signal is good, and repeats (or amplifies) it to an area where the signal is not good or nonexistent. A cell phone repeater has three main parts: an outside antenna that receives the initial signal, an amplifier that boosts the signal, and an inside antenna that broadcasts the boosted signal to the inside area that needs it. All three components are connected with high quality cable. A cell phone repeater can bring a weak signal inside and amplify it significantly, but it does require a stable signal in the area where the external antenna is placed in order to work. Ideally, this is a strong signal that it can repeat, but even a weak signal can be adequately amplified when combined with a strong amplifier. A cell phone repeater will not work for areas which have no signal or have a signal which is unstable and repeatedly cuts out. If you are able to place the external antenna in a location which has signal, then a cell phone repeater should work for you. There are different types of cell phone repeaters which vary in strength and can be configured with different types of antennas in order to solve your situation. We'll cover the most popular types of repeaters here. 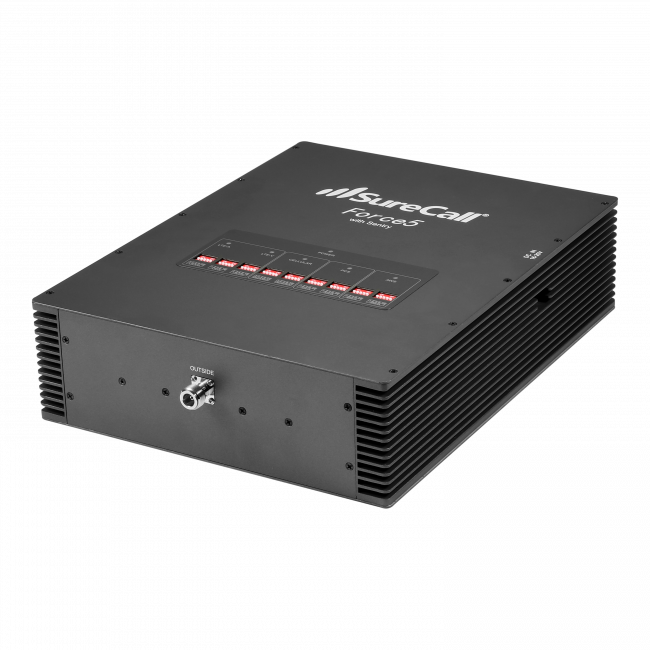 Cell phone repeaters for homes and offices, or really any building, each utilize a powerful amplifier and one or more antennas to broadcast the boosted signal to a large indoor area. They range in power from entry-level boosters that are for a single room up to the most powerful boosters that can cover tens of thousands of square feet. Some of these boosters can also employ multiple inside antennas to provide the necessary coverage to the indoor area that requires better coverage. 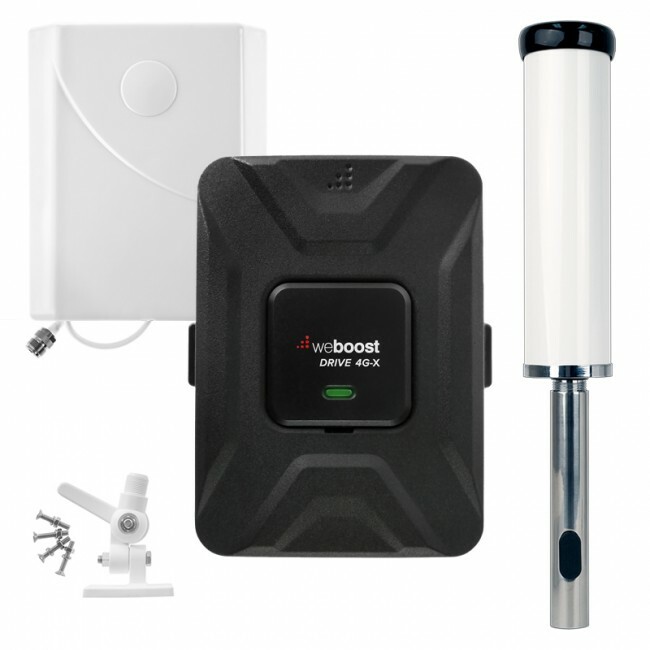 You can browse the home or business signal booster kits, or use our product selector tool below to determine the right booster kit for you. Vehicle cell phone repeaters come in two kinds. The first kind is a cradle repeater which combines the amplifier and internal antenna into once device and can only be used by one cell phone at a time. The other type of vehicle cell repeater is able to broadcast boosted signal to the inside of the vehicle and can be used by multiple phones and data cards at the same time. This is the ideal cell phone repeater kit for long distance travelers, families, carpools, and more. 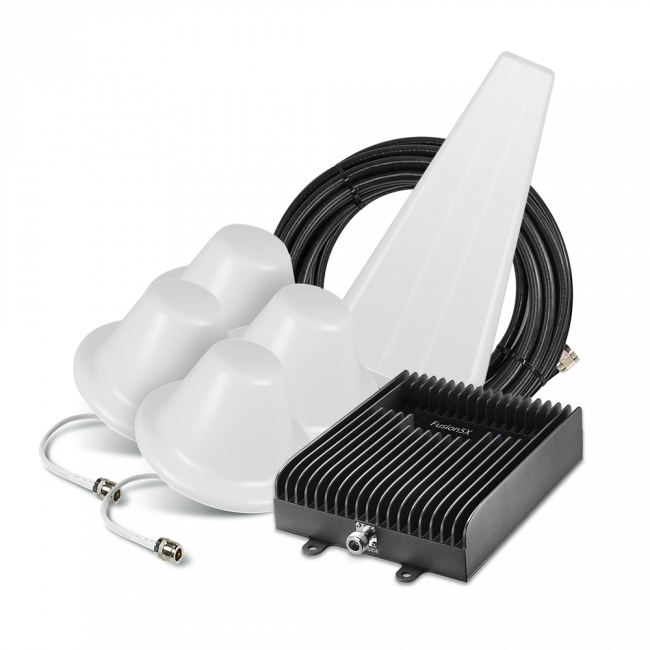 You can browse the vehicle cell phone repeaters, or use our product selector tool below to determine the right booster kit for you. 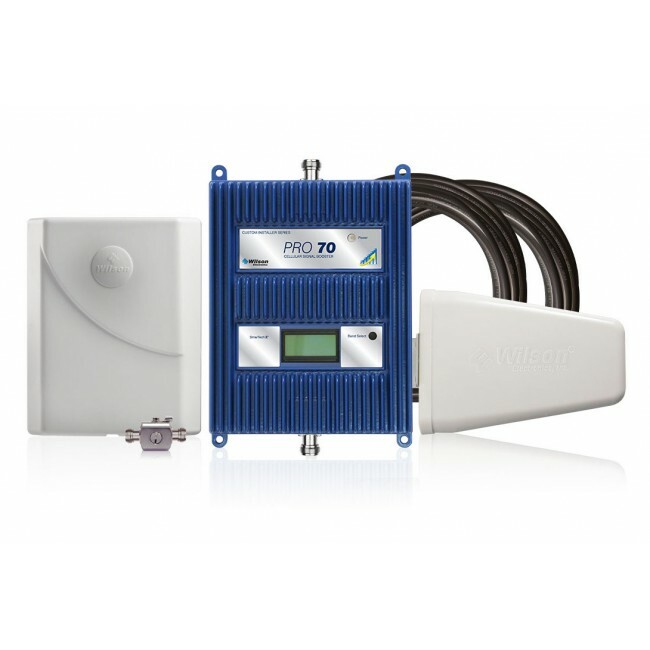 If you'd like a more in depth look at cell phone repeaters, then take a look at our Guide to Cell Phone Signal Boosters and feel free to contact us at any point with questions.